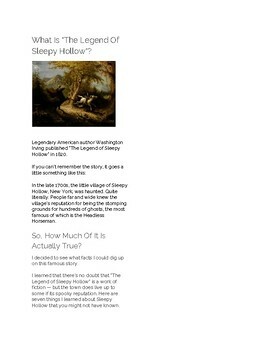 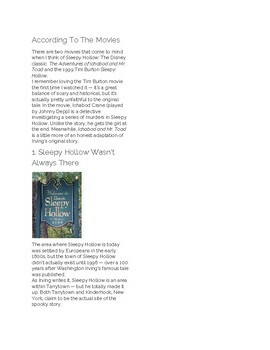 Have your students choose one of these articles to read (and answer questions, if you choose - or you can just have a talk about it) and then explore the real Sleepy Hollow website. 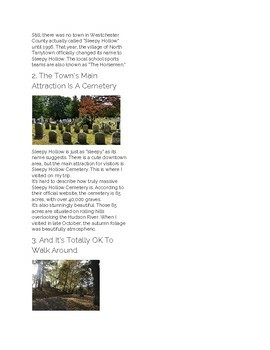 Note: I did not write these articles. 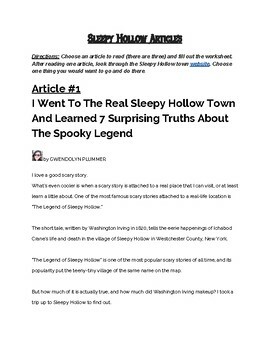 I just reformatted them for my students to read.